First off, sorry for the extended absence , lots going on but not that much to post about (yet)… until now anyway. 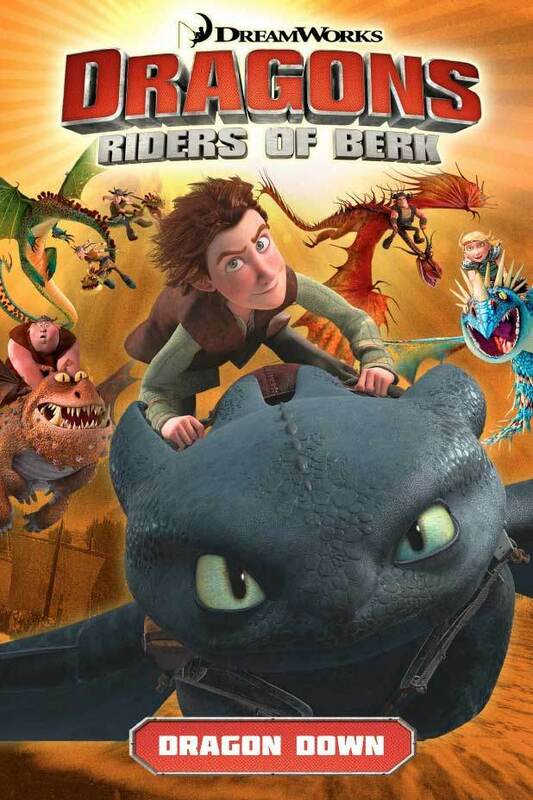 This week sees the publication of the first in a series of graphic novels based on the movie How To Train Your Dragon (and its TV spinoffs, Dragons: Riders of Berk/Dragons: Defenders of Berk). The first (of six) — Dragons: Riders of Berk – Dragon Down — is in bookstores (real and virtual) now, and pits Hiccup and his fellow Vikings (and their dragons) against Alvin the Treacherous. When Snotlout’s overheating dragon, Hookfang, goes AWOL, it becomes a race against time to save him from the Outcasts — and himself! Dragon Down is written by me (‘natch, as I’m plugging it here) and drawn by talented newcomer Iwan Nazif. Perfect for kids… of all ages. You can purchase the book here, or on other perfectly good sites or even actual bookstores. More updates soon on other stuff on my current slate and upcoming. Promise. This entry was posted on Friday, May 30th, 2014 at 11:17 am and is filed under Uncategorized. You can follow any responses to this entry through the RSS 2.0 feed. You can leave a response, or trackback from your own site.